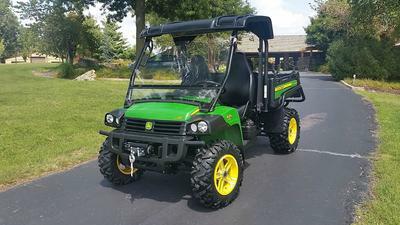 The 2012 John Deere Gator for Sale is a NICE John Deere Gator 825i that has 4 wheel drive (4WD)with locking rear differential, high-low range, 3 cylinder and a 12 valve liquid cooled engine that runs perfectly. 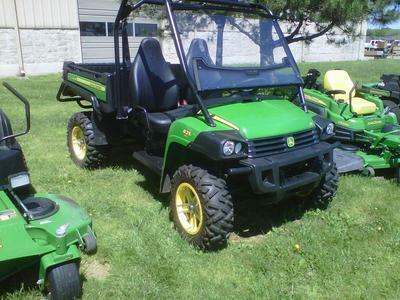 The Gator has been very well maintained, got a new Battery in the last year and has just 140 hours on it. 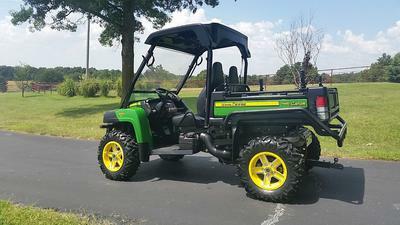 This JD Gator is loaded with options and for the most part are all genuine John Deere parts. The Gator has the following features and extras. XL Handy Rhino Grips for holding trimmers, tools, guns and such. 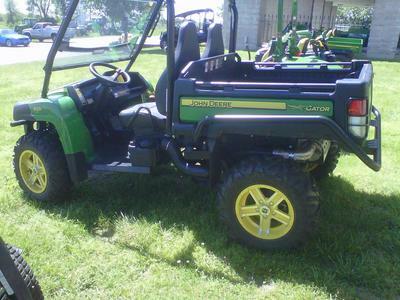 The 2012 John Deere Gator for Sale is in Lowell AR Arkansas and you can set up an appointment by email or request more details and pics LeahKitchinerlr "at" aol "dot"com and don't forget to mention that you found this ad on GoGoCycle's Used Motorcycles and Parts for Sale www.gogocycles.com.